South Korea is renowned for its rich history and amazing economic and technological success. The country is ranked as one of the G-20 major economies and, informally, as one of the four “Asian Tigers.” South Korea has made especial progress in the manufacturing of electronics and vehicles, being home to industry front runners such as Samsung (which is fabricating Bitcoin mining chips), LG Electronics, Kia, and Hyundai. South Korea also boasts world class high-tech cities such as Seoul, the capital. It’s not surprising that cryptocurrency has thrived in such an advanced and wealthy country, given that internet penetration and financial sophistication are some of the major drivers of crypto adoption. What is surprising is that the crypto boom came rather late to South Korea; after the US, Europe and China were already onboard, South Koreans only really got into Bitcoin in a big way around 2014. In 2018, South Korea has one of the largest markets for cryptocurrencies in the world, ranked just behind the United States and Japan, which respectively have about 6 and 2.5 times South Korea’s population. South Korea’s massive per capita crypto adoption is said to result from one-third of all salaried workers being active in crypto trading and / or investment. Naturally, most of these market participants are involved with Bitcoin. During the 2018 bear market, the troubles for Bitcoiners in South Korea were compounded by some stringent government regulatory actions. Trading in cryptocurrency, particularly ICOs, was significantly disrupted by South Korea’s tough new regulations. However, it seems that the government is starting to ease its restrictions as we head into the third quarter of 2018. It seems that the Korean blockchain revolution is set to continue, albeit at a more restrained pace. Many South Korean banks, such as Shinhan Bank, provided anonymous “virtual bank accounts” for clients looking to fund their crypto exchange accounts. This practice decreased regular banking fees and delays, facilitating low-friction crypto purchases and sales for South Koreans. However, this practice has now been banned, and now only regular, named bank accounts may be used for crypto trading. 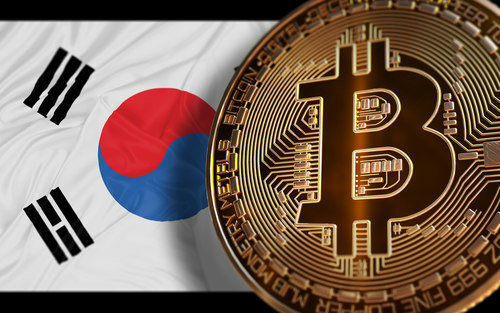 The South Korean crypto craze and the subsequent multiplication of related exchanges, businesses and services, attracted a lot of governmental attention. The news that North Korean hackers suspected of targeting crypto exchanges in South Korea and Japan also raised official eyebrows. These developments, coming after the South Korean government had legalised payment facilitation by crypto service providers in July of 2017, sounded a note of caution. Rumours of a South Korean ban began to swirl through international markets. Following the draconian crypto exchange clampdown in China, the South Korean market had grown to become something of a replacement for Chinese demand. The situation came to a head in September of 2017, when the government banned ICOs (Initial Coin Offerings). In January 2018, the Korean government was rocked by an insider trading scandal, when it transpired that several Financial Supervisory Service staffers sold their crypto holdings shortly before the Justice Minister publically (and erroneously) stated that the government was close to banning cryptocurrency. In July of 2018, The Korea Times reported that the government had drafted bills to introduce crypto regulations, aimed at preventing cybercrimes and money laundering. While the government is concerned about the security and financial risks of crypto, the (central) Bank of Korea is unphased. The BOK reported that the “mere” 2 trillion Won (about $18 billion US Dollars) invested in the local crypto industry poses no threat to the 26 trillion Won deposits in the country’s brokerage houses. While the country finds a suitable regulatory path, businesses and state-owned corporations are seeking to harness the technology behind the blockchain. South Korea’s largest telephone company, the KT Corporation, is set to launch its own blockchain-powered network. This blockchain layer is set to be added on top of their existing network. The company says this will bring a new level of security and transparency to its network. Similarly, the Korea Housing Finance Corporation and the Korea Internet & Security Agency have decided to collaborate on blockchain document storage. This system will manage documents for mortgages and other loans, while providing protection for customer data and improved efficiency. The administrative district of Yeongdeungpo-gu has also based its Proposal Evaluation System on blockchain workings. This system is set to improve the security and integrity of administrative work while speeding up results and proposal reviews. These developments hint that the government seeks to embrace rather than extinguish blockchain technology. It’s necessary to upload your South Korean ID or passport, plus various other documents depending on which level of verification you wish to reach. Once there, you’re directed to either purchase a set amount or to enter in your own desired amount, up to approximately $5,000 (as of the time of writing). Then select the “Proceed to checkout” button. Finally, proceed by clicking on the “Pay now” button. Once your payment has been made, the order status will read, “In Process,” signalling that your order is being processed by the card company. After a few moments, the order will be processed and approved. The transaction to your wallet address then needs to be confirmed by a Bitcoin miner. Within 20 minutes or so, you’ll receive your BTC. It may take a little longer if the blockchain is congested. Note: only VISA and MasterCard are acceptable forms of payment at this time. We’ll have to wait and see what regulations the South Korean government has in store for cryptocurrencies. However, a country so technologically sophisticated seems like the perfect incubator for this technology.